An excellent Infographic (see below) put together by Help Scout (www.helpscout.net), summarizes the central concepts behind customer-centric selling and how it applies not only to direct B2B selling but to e-commerce and mobile applications sales as well. In particular, personalization, while the example in this infographic is weak (bringing a second set of mints to a dining customer) the point is critical. A better example would have been saying that if your waiter addresses you by name would have a significantly bigger impact. Or, putting the name of the customer in chocolate sauce on their dessert. The importance of remembering and using a customer’s name is brought out in point three. In selling direct or online anytime you customize and personalize a presentation or information will make it much more valuable and memorable. Further, it differentiates you and your company from the competition. Another area of particular importance, in my opinion, is customer communication and interaction as covered in points 7 and 8. Useful in both direct B2B or mobile applications is the notion that I regularly interact with my customers and use my customer base to drive features and content. Customers know what they want and are happy to let you know it. Inversely, they become very unhappy and lose interest when they feel ignored. This is not to say that a company should only add features and improvements dictated by their customers. Customers are generally not aware of new technology or methods that can fundamentally improve their customer experience. The best companies balance improvements that are driven by new technology and internal directions with features asked for by the customer. More applicable to mobile/e-commerce is interaction and communication that enables and promotes customers to build or add content themselves. Not only does this make for a happier user/customer base but has the benefit of your customers adding value and content making the brand and customer experience have more value with little to no company investment. All the most successful online applications embrace this “social” customer experience. The rest of the points are right-on as well and worth reviewing and internalizing for anyone selling. Amazon probably will not make any top 10 list as far CSR’s go ( Corporate Social Responsibility) regarding investment in the community as it relates to profits but they do have initiatives that help the community and may be working their way up the chart. Let’s face it Jeff Bezos does not like to be second at anything. One example is AmazonSmile, a program where a customer on Amazon’s website can agree to make a donation and Amazon gives this to charity. The resulting donations come from Amazon from money gathered from their customers. In late 2014 Amazon appointed a director of social responsibility to answer criticism about business practices. This resulted in a number of initiatives for improved working conditions and the Amazon Frustration-Free Packaging initiative for environmentally friendly packaging. Other programs are Amazon Device Donation Program – for donation of electronic devices to schools located near Amazon fulfillment centers; Girls Who Code- to help get more girls interested in coding, and, Amazon Career Choice Program – which pre-pays 95% of tuition for employees who take pre-approved courses relevant to careers at Amazon. Amazon also invested in using recycled heat to minimize the energy footprint of their three million square foot office in Seattle. They have also added a Sustainability Landing page on their website that discusses upcoming initiatives like Texas Wind Farms and use of Solar Power. However, the company has not yet made this a top priority and still, to the best of my knowledge, not released an annual sustainability or a CSR report which is unusual for a company the size of Amazon. They are making progress, but critics say they should be doing more. This question is matching the king of in-store or traditional retail vs. the king of online retail. They both dominate their respective territories. Your question is specific to Amazon competing with Walmart. In online retail, Amazon is winning and it is Walmart that is trying to compete with Amazon. So far Walmart is doing well with their base of customers in selling products online for convenience, but have not been successful in gaining customers outside their retail base. This limited online sales success is unlikely to change despite Walmart spending mountains of cash in upgrading their online infrastructure. Amazon is just too far ahead and continues to pour their own seemingly inexhaustible cash to keep it this way. In the in-store or traditional retail space, it remains to be seen if Amazon even wants to compete with Walmart or any other retailer. Why would they? It cost more to establish and run stores, harder to manage thousands of locations of inventory and is just less profitable with higher risk. Instead, Amazon is going to invest in technology that retailers will buy/license from them to run their stores more profitably by allowing customers to shop and buy products in-store directly and eliminate the need to go through checkout. While this is not good for the tens of thousands of check-out clerks working in retail stores today, it will make the process of shopping more convenient for customers and will reduce costs for the retailers. This will in-turn make retailers more profitable and probably reduce the cost of products at retail stores. So it is highly unlikely that Amazon will ever choose to compete directly with Walmart. Instead, they will supply tools and technologies to make in-store shopping a better experience. Read some book on sales and sales techniques. Less than 1 in 20 sales people do, and you will learn and improve skills. Always listen first. Nobody wants to be sold to or at. Learn what is important to your prospect and what they are trying to solve and then help them solve it. Follow-up. Not just once or twice but until you succeed. Persistence is a common attribute of all successful salespeople. Knowledge. Know your product, know its features, know its benefits, know its advantages over not just competitive offerings but over how your customers do it now. Be an expert and add value. Be yourself and be honest. People see through false exteriors and know when you lie and will not trust you. Trust and comfort are critical. If you do not know the answer just say so, and then find the answer. Click on the link above for presentation PDF. 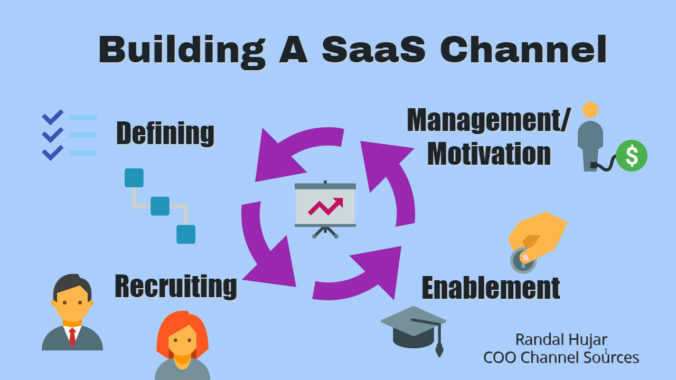 This is a very content packed 53-slide presentation created for people attending Softletter’s SaaS University. Avoid horseshoe curves. If there is “hack” this is it. Products with a lot of 5 reviews and a lot of 1 reviews generally indicate the real reviews are the 1’s and the fake reviews are the 5’s to pull up the score. Look for reviews that look like a crescent with the longest part of the curve on 5 Rating and smallest on 1 rating. This is the sign of a good product with a typical review curve. Not everyone loves a product no matter how good it is so it is healthy and normal to see a progression of reviews from 5 to 1. Read the reviews and comments. Take the time to read the good and the bad, and the comments. It is pretty clear when you are reading a real review and a professionally written review. Read comments on bad reviews because while the selling companies will feed good reviews for their products, competitors feed bad reviews and misinformation about their competitor’s products that cannot be removed by the manufacturer. See how the company responds to these bad reviews. It will tell you much about how much they care about their product and customers. If they let the poor reviews stand they clearly are not very customer driven. If they offer good explanations or offer support for the bad that is a great sign they are a company you want to buy from. First, let me define “organic sales.” Organic sales are generally defined as those created from within the Amazon platform and do not originate from any outside activity. You can also include sales from word-of-mouth of people that tells others of their discovery on Amazon. SEO. Optimize your listing for effective search engine results. This is best accomplished when setting up a new product by placing keywords in your product title and the search term area under the “Keywords” tab. There are many good resources to help identify the best keywords for your product including Google AdWords Keyword Tool, Google Analytics, http://keywordtooldominatior.com or moz.com. In general, if it works for google searches it works for Amazon searches. Ads. Use Amazon ads through the campaign manager to place ads for your product based on visitors searches. This should compliment your SEO optimization and not overlap. Use Amazon marketing tools like lightning deals, discounts, giveaways, etc. to help drive demand and sales. If you qualify, work with your Amazon Rep in Amazon Marketing Services (AMS) to take advantage of other Pay Per Click, featured product sections, and other tools to drive awareness and sales. My advice is to never rely on organic sales for your success. I have found that this only works if your product is a cheaper version of a well known and high-sales product in which you can effectively hijack an established company’s marketing efforts and get prospects to buy your product instead. To truly have effective Amazon sales you need to get your sales volume up, so your product appears on the initial screen of a prospects search. To do this, you will need to drive these sales through direct demand generation efforts and drive business to Amazon to realize the sale. Once your product has achieved sales momentum and volume the organic sales will begin to take over. The Hujar.com website is under construction so please bear with us. Header Image is a piece of original oil painting art by Tabitha Hujar.